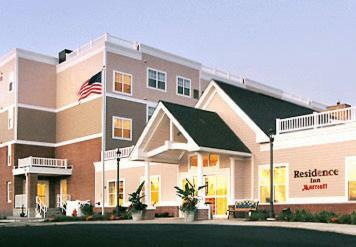 The Residence Inn Newport/Middletown is the perfect extended stay hotel for project teams, relocations, temporary housing & vacations in the Newport, RI area. Just 2 miles from downtown, Newport-shuttle service ($3pp) every weekend starts May 17. Daily shuttle June 23-Sep 2. We combine all the comforts of home with the perks of a hotel and with easy access to the community. The Navy Base, NUWC, Officer Candidate School, Naval War College, Newport Hospital & Raytheon are nearby. And when it's time to see the sights, you will enjoy the convenience of being just minutes from Newport Mansions including The Breakers, Cliff Walk, Touro Synagogue, Ft. Adams, Tennis Hall of Fame & colonial homes. Newport Mansions open daily and Doris Duke's Rough Point Tues-Sat for tours. Our shuttle can drop you off at the new Block Island ferry for a great day trip or try Twin lobster rolls at Easton's Beach. Back at the Inn get some sun on our outdoor patio area & unwind in the indoor pool, whirlpool or our beer/wine bar.